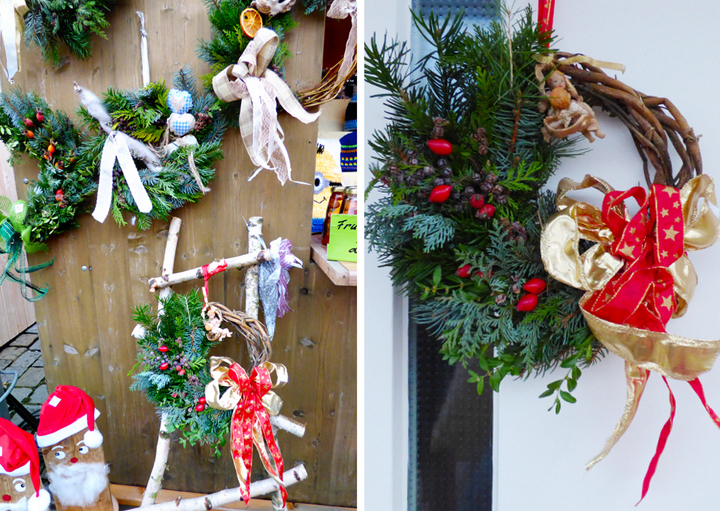 We started a tradition last year: getting a wreath for our door at the one-day-only Grafenwöhr Christmas market! Passing over the river on the short walk to the main town square. Horse-drawn carriage rides around the block - oh what fun! Hoppin' and happenin' downtown Graf. Fox & Jane in front of a huge Christmas tree and the old town hall. Not opened yet (from our first attempt). We found the same vendor as last year and picked out a wreath for our front door. We took away Jane's pacifier last week - about time, I know, she's 3.5... Hopefully her gap and crooked jaw will fix themselves... If we have more kids, I'm not using "fires." They're too hard to take away. Gingerbread cookies. I've never had one! I must try one at the next market. 2nd carousel ride of the day, lucky ducks! Live music - so festive! Camels and donkeys to remind us of the stable in Bethlehem. Chris got a brat to cap off the day. 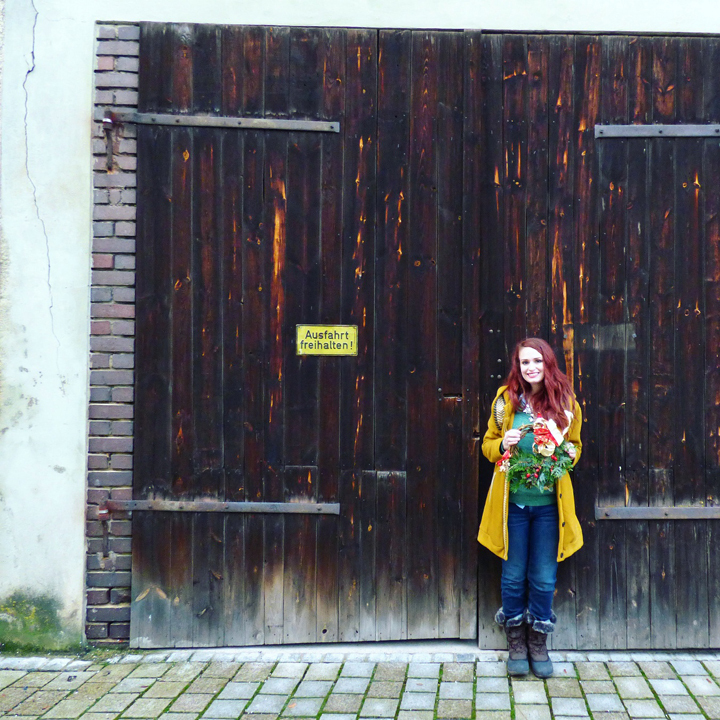 I had Chris take this picture of me'n'our wreath in front of this fantastic barn door, but all I can focus on is the bright yellow sign with one of my favorite German words on it: Ausfahrt, lol. It means exit. Ausfahrt freihalten! means "Keep the exit clear!" 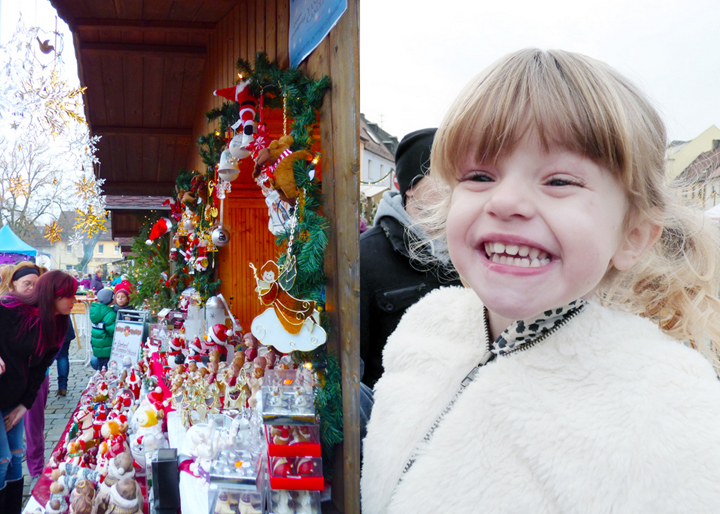 Such a fun day at our small town's Christmas market! Can't wait until next year! So fun! LOVING the wreath you picked out! And I can't believe you've never had a gingerbread cookie! LOL! That last photo of you is gorgeous! What a fun and exhausting day you had! 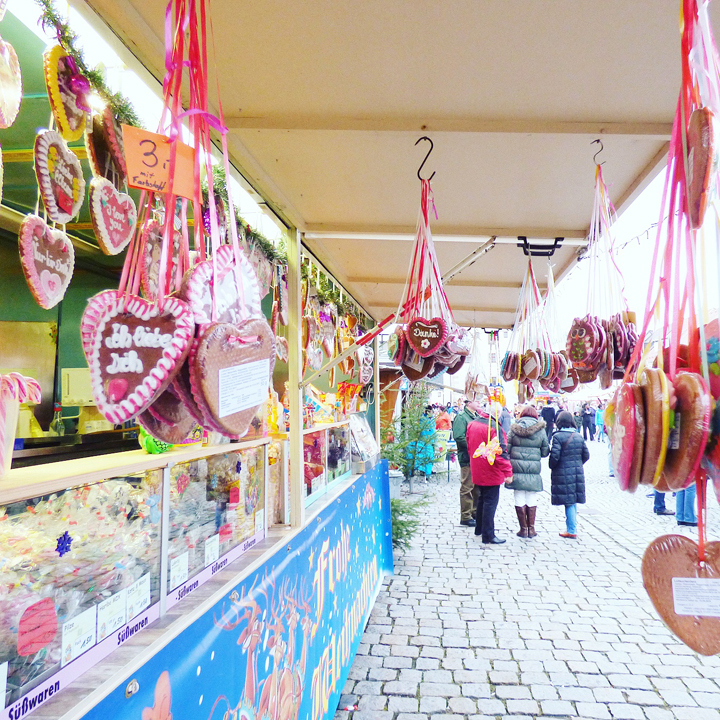 It may be small, but I really like Graf's Christmas market!